« How does my Apple products withstand falls? I’ve just read that Samsung officially confirmed it won’t update their 2010 flagship Android smartphone to the latest version of Android that was announced by Google a couple of months ago. Although the i9000 was announced in March, it was first released in June of 2010 but only in a limited number of markets. For instance, in the country where I currently live in, Vodafone only launched it in late October of the same year. This means a lot of people bought this phone, often attached to a 24-month contract, in late 2010, being currently within the first year of ownership. Since Samsung will not continue to provide further support, most of these people will have to wait another year with a flagship phone running an older version of Android until they can renew their contracts and get another phone (probably not from Samsung again!). This goes against the 18-month update commitment Google said they were trying to push along with their partners and makes me wonder if it’s really worth to buy an expensive high-end Samsung Android device, given their poor track record of updates. 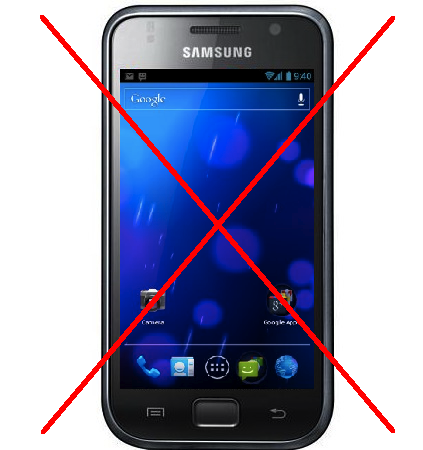 On the other hand I do really understand why Samsung made this decision: their core business is to sell new smartphones! Samsung probably guessed that most of the, let’s say 15 million, Galaxy S customers don’t really care or know what version of Android they are currently running, and the few that do really care about this are probably savvy enough to visit the XDA forum and sort this out unofficially with the community. As I recently wrote, I sold my Galaxy S for a bunch of other reasons some weeks ago. If there was any doubt remaining in my head about if selling it was the right thing to do, after reading this disappointing news, I’m really glad now that I did, since this would be the ultimate “nail in the coffin”. This entry was posted on December 24, 2011 at 14:00 and is filed under Android, Samsung. You can follow any responses to this entry through the RSS 2.0 feed. You can leave a response, or trackback from your own site.